First flight of SDD JSF Prototype AA-1 in December, 2006. (Imagery via Air Force Link). This paper proposes five measures for the reform of Defence in Australia, with a focus on acquisition of new systems. 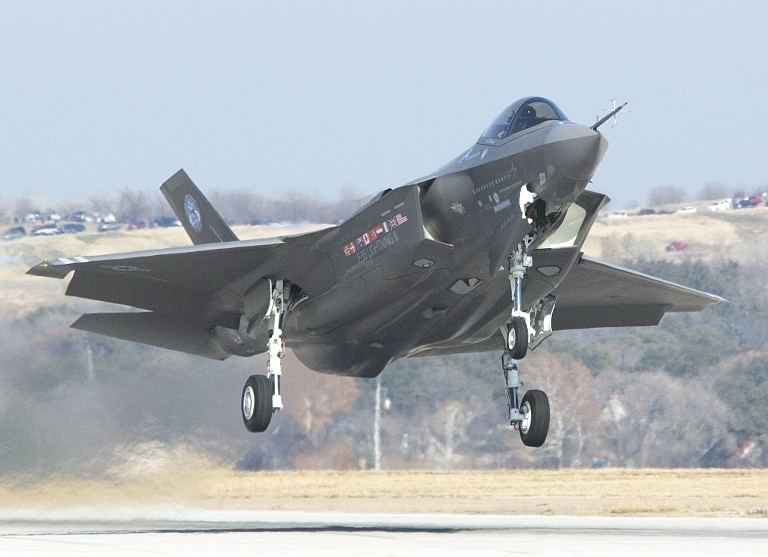 The acquisition of the F-35 Joint Strike Fighter is explored as a specific case study. We’ve all seen reports of Defence acquisition costs blowing out, of programs slipping to the right (in other words, being delayed), of capability requirements not met. Is it really as bad as this - or is this a case of perceptions being incorrect? If it is as bad as the popular press is making out, then what is the problem, and how should it be addressed? Defence tends to acknowledge problems in the past (if they didn’t, there wouldn’t even be the pretence of being reasonable), but they also go on state that the problems are in the past, and that things are now on track. The problem is the present (and future) tends to replicate the past. Yet, when Defence gives these assurances that all is well, they tend to be believed again and again. This is not just an issue for the Government; the Opposition is fed the same story, with the same result. The Australian National Audit Office (ANAO) tends to be the only organisation that holds Defence to account through detailed studies. Yet Defence holds this body in contempt and suspicion. Defence often pushes the line that ANAO does not have the requisite detailed understanding of the complexities to analyse their programs correctly. There is also an inherent problem in the funding model applied to the Defence Science and Technology Organisation (DSTO), in that the funding for research is under the direction of various two star officers. As such, DSTO is not truly independent of their Defence masters - research efforts and direction are not as independent as they should be. I understand this model came about so that the research undertaken by DSTO would remain relevant to Defence requirements. While I applaud the reason for this policy, it does not serve us well. How can DSTO provide frank and fearless advice when some of the research activity they should conduct is not funded? 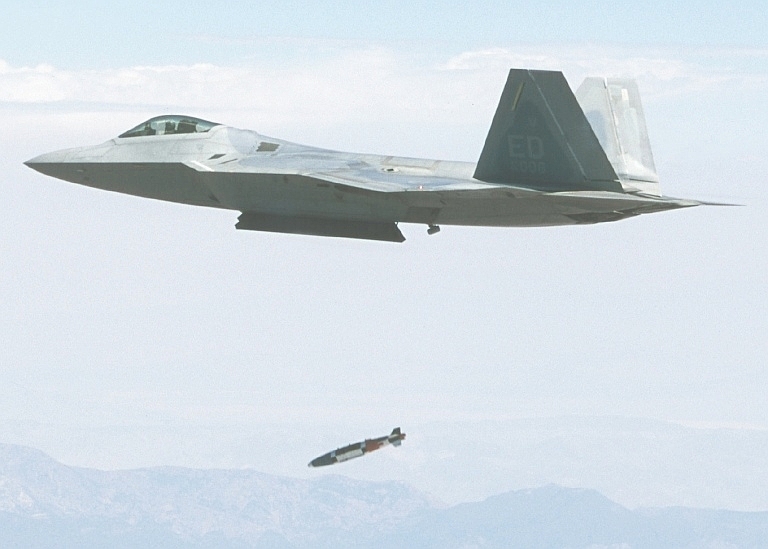 Maj. John Teichert, USAF, of the 411th Flight Test Squadron performs the first supersonic release of the 1,000 lb GBU-32 Joint Direct Attack Munition over the Mojave test range, on the 14th July, 2005. The NACC provides a good illustration of how all of the above factors can go wrong at once. This is an acquisition that will cost each man, woman and child in Australia roughly $1000 each! As Project AIR 6000, DSTO Air Operations Division was to conduct a comparative analysis of the various contenders. They had barely set up an analysis methodology before Defence recommended to Minister Hill that the JSF was the appropriate capability for Australia. Minister Hill accepted that advice, and from that moment analysis of all other contenders was ’switched off’. A mere semblance of a watching brief has followed since. There were analysts and other interested parties that were concerned about this decision. They voiced their concerns both on the fundamental capability questions and the risks that were likely to eventuate from this program. The Defence leadership not only did not accept or listen to the criticism, they were very aggressive in their approach and at times used ad hominem attacks on those criticising the decision. At that early point they decided to ’situate the appreciation’ as opposed to the desirable (in fact essential) process of ‘appreciating the situation’. What this means is that the Defence leadership decided that the JSF was the answer, and then built up the question premised on this required outcome. Early on, for example, the conventional take-off and landing (CTOL) F-35 variant that we opted for only had space in the internal weapons bays for 1,000 lb weapons, as opposed to the 2,000lb internal weapons capability in the F-111. As the Defence leadership had decided to kill the F-111, they stated at the time that the 1,000lb JDAM and the small diameter bomb could do all of the jobs required, and the 2,000lb capability was not necessary. Fast forward a few years, and the CTOL JSF now has a 2,000lb class weapons bay, even though we don’t yet know which 2,000 lb weapons it will be able to safely eject. Much criticism has pointed to the F-22 as the better solution for Australia, compared to the JSF. The F-22 does only have a 1,000lb class internal weapons bay. Result? Suddenly, the ability to carry 2,000lb weapons internally becomes important. With the NACC, the Defence leadership has decided to attack all suggestions that the F-22 is a better solution. This has taken the form of misleading statements on cost, capabilities and so on. Worse is that the Defence leadership has not recognised the fact that the threat level in the region is increasing significantly. The Defence leadership are betting on so-called network centric warfare (NCW) and stealth, and state that this has changed the nature of air combat. The problem is that purported revolutions in capability - if adopted in the absence of fundamentals - are usually found out at the worst time possible… in an actual shooting war. An example of this is Vietnam, where American F-4 Phantom fighters had no gun - the missile supposedly meant that guns were obsolete. They learned this was not the case, and quickly retrofitted guns. Guns are now standard issue, even on the JSF and F-22! As to the revolutionary capabilities that Defence leadership is betting on, NCW is really nothing new - it’s simply the ability of a platform to gain awareness of the situation where the situation cannot be directly observed by the platform. Semaphore in the days of sail is an early example of this, where flag signals gave other vessels an appreciation of what was over the horizon. With stealth, the problem is that the JSF is not particularly stealthy from the rear aspect. The Defence leadership is essentially betting that the regional situation will remain stagnant, and that stealthy, supercruising aircraft with network centric capability will not even be in the region by 2040-2050. This is when the NACC is still be expected to be in service. The risks associated with the program are coming home to roost. The Defence leadership stated that there would be no capability gap between the retirement of the F-111 and F-18, and service introduction of the JSF. They stated publicly - including before Parliamentary Committees as recently as three months ago - that there would be no requirement for an interim solution. Additionally - in their desire to kill the F-111 - they completely oversold apparent risks with F-111 life extension. It now appears very likely that an inferior interim fighter will be purchased, the F/A-18F, to cover the unavailability of the existing F/A-18A Hornet fleet as it is put through life extension upgrades. This is billions more in taxpayers’ money, and yet another aircraft type (there is virtually no commonality between the 'classic F/A-18' and the F/A-18F). What’s more, not only does this mean that our relative position in the region compared with other nations in the region deteriorates, but our absolute capability will degrade as well. We’ve clearly got inherent problems with defence acquisitions, compounded by institutionalised groupthink in the Canberra staff organisation. Decouple the funding of DSTO from Defence. DSTO must have the capability to act and conduct research in a completely independent manner, while still doing the work required to support Defence projects. The DSTO leadership must not be in a subservient position to Defence leadership - there should be completely separate chains of command reporting to the Defence Minister. Have DSTO and ANAO personnel integrated with all major Defence acquisitions and project upgrades. Defence Materiel Organisation (DMO) will probably need to be dragged kicking and screaming into this, as they will resist these measures and use arguments stating that they will not be able to operate efficiently while hamstrung by these personnel conducting oversight. They will also say that there should only be this sort of oversight when a project gets into trouble. This is nonsense - oversight is required to prevent trouble from occurring. A legislated approach to reform. That is, an ‘Aussie Rules’ version of the approach taken in the Goldwater-Nichols Act introduced in the USA in 1986. The degree of reporting and responsibility for acquisitions and upgrades will increase significantly as a result. Policy must be put in place to allow robust debate within Defence at all levels on capability issues. There must be no censure of Defence personnel who question capability, doctrine, ideology or the way things are done. So often it is mavericks within defence forces that force the conservative Defence Department to recognise reality. Defence must engage with its critics in the Australian community and address their concerns with actions, not disparaging rhetoric. Many in Australia’s Defence reform movement are better qualified professionally than their peers in Defence. Many are also former ADF personnel, with decades of experience and the wisdom gained solving such problems before. Defence must recognise that its critics are a national resource to be used to solve problems in Defence, rather than an unwanted impediment to bureaucratic comfort. These simple measures have the potential to save Australia billions of dollars. Fixing Defence is critical for Australia’s future. Otherwise - when the time comes - things won’t be right on the night. 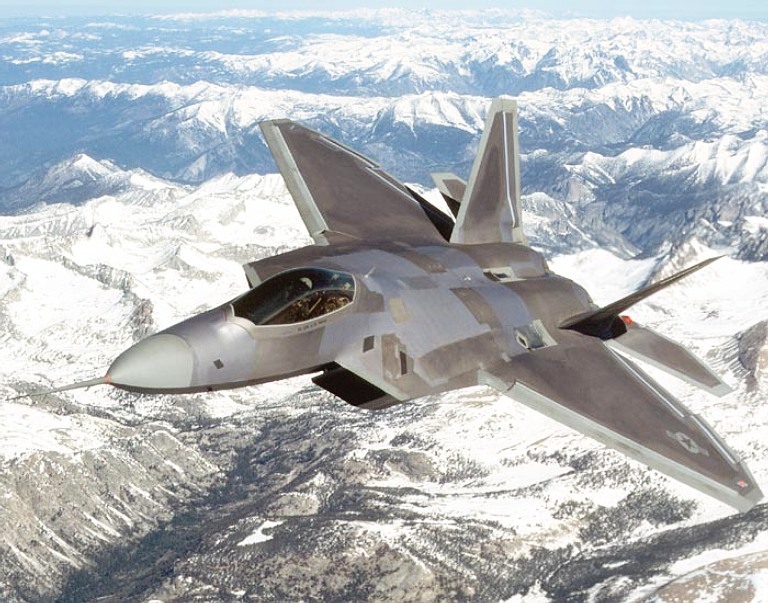 F-22A Raptor (US Air Force). Editor's Note: Dr Dennis Jensen, MP, Federal Member for Tangney, Western Australia, has had a long standing interest in military aviation and Defence matters, worked as an air traffic controller for some years, and also spent several years as a research scientist in the Defence Science and Technology Organisation. Air Power Australia Analyses is pleased to mirror this recent public discussion paper by Dr Jensen. First published as 'It Won't be right on the night' on Catallaxy, 23rd January, 2007.